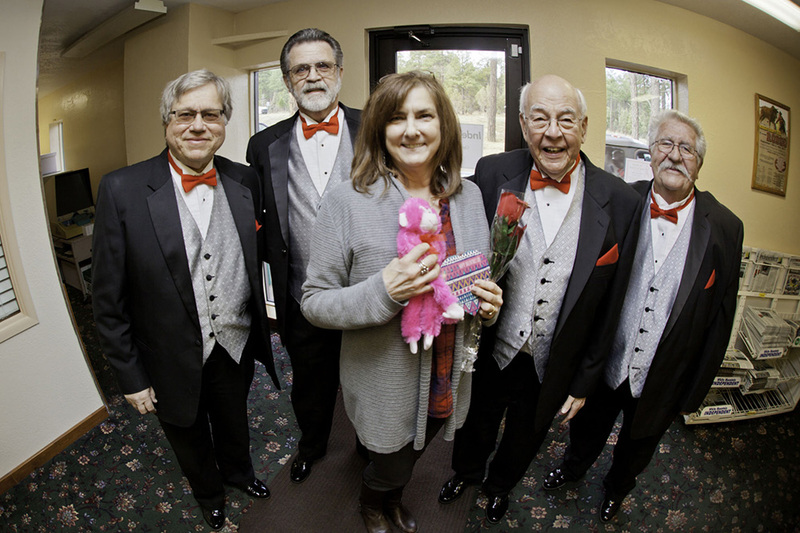 On February 14th, Valentine’s Day, around noon, the Pine Trails Quartet visited WMI, White Mountain Independent Newspaper and stopped production for just a few minutes! The quartet sang several love songs to the ladies and gentlemen in passing. Ms Corrine Ruiz, page designer for WMI, got the focus of attention while Bob Martinson took the photo. 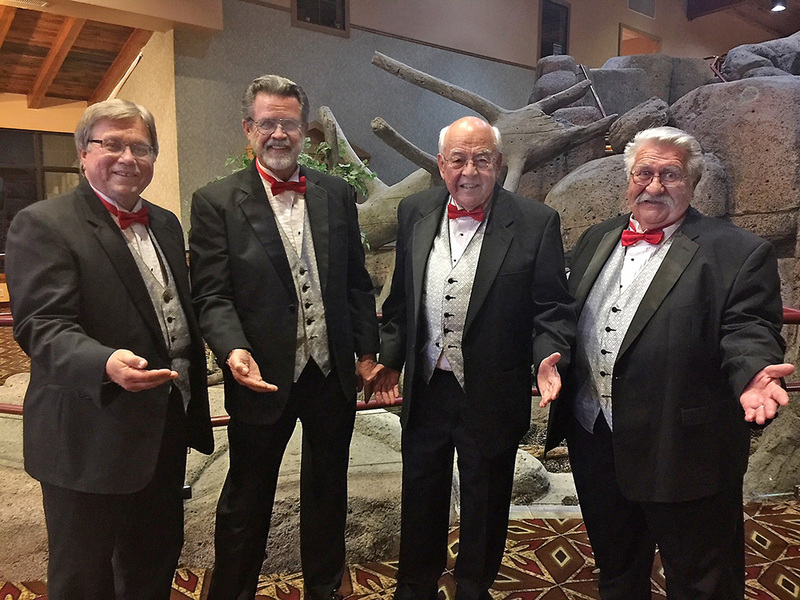 For many years the WMI has been an awesome support to the High Country Barbershop Chorus and has been very appreciate by the men and women of the chorus, James H Burden VP Public Relations,exclamied! 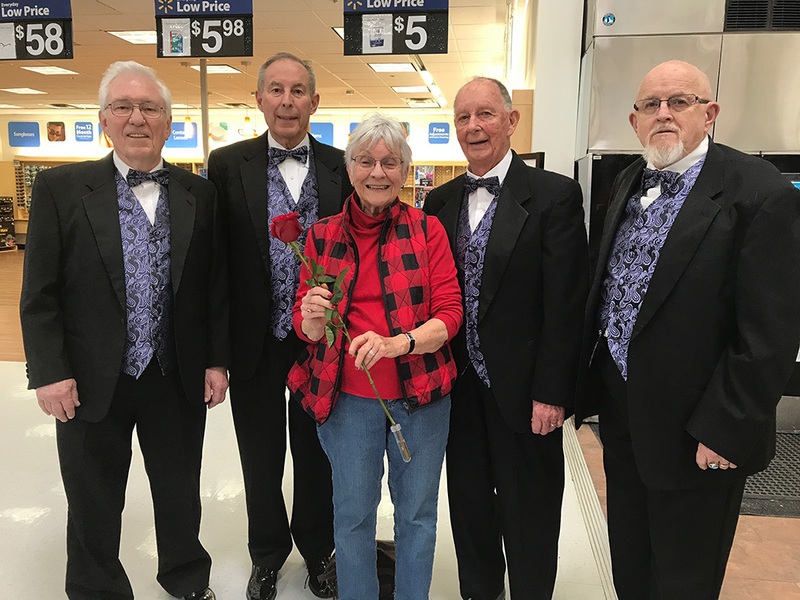 Marty LaMar received her singing valentine from husband Ron while shopping at Walmart. 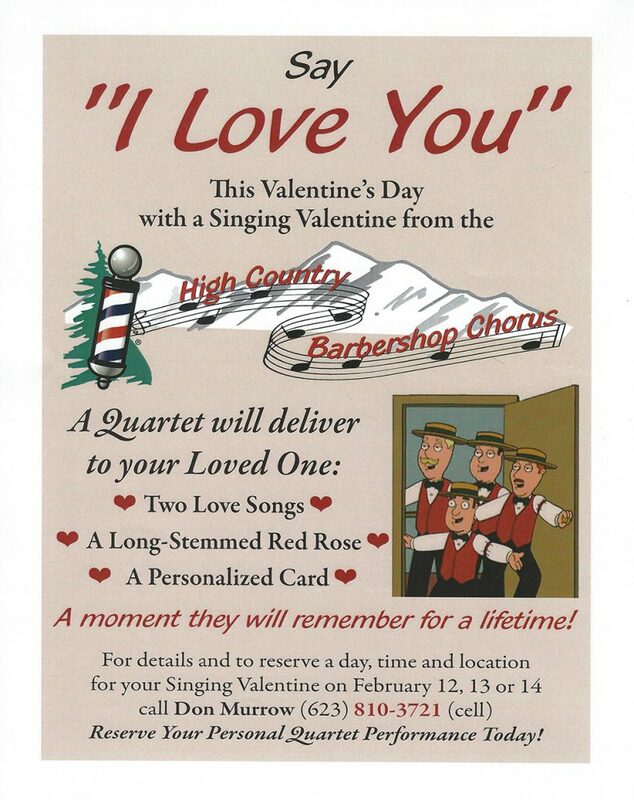 Valentine delivered by the Ponderosa Pines Quartet.